what happened to pinwiki, no longer works? Thankfully I had the system 80 page up on my phone and was able to save it. Hope this can be fixed! I would be lost without it. Noooooo, hope they are back soon! The whois page for the domain shows an expiration date for 4/21/18, so it's not a problem with the domain name. Looks like it's a problem with the host. Does anyone know who runs the site? I think the guy's username on pinwiki was PinballWizard, but I'm not 100% sure without being able to look. Digging into it further, the account was not actually suspended. It looks like the website was actually hacked. The page is attempting to redirect to a known malicious site in the background. Any mirrors of the site out there, by any chance? The site has a robots.txt blocking crawlers, so it doesn't seem to be cached anywhere. Yeah, but there's sometimes a ticking clock on that. I did manage to find that archive.org had some of the wiki cached from 7 months ago. A bunch of newer pages are missing, and 7 months of content isn't there, but sans other options, that could at least be a starting point to rebuild from in the worst case scenario. Has anyone posted to the facebook groups to see about getting in touch with the guy and giving him a heads up about the site? "There are top men working on this." I'm told that it should be back up shortly. I sent an email to Casey last night. He manages the site. No response yet. "There are top men working on this." Hey everyone, its Casey (founder, owner, manager) of PinWiki.com. I am almost never on PinSide, so I apologize for not getting back to everyone until this morning on this. I knew of the issue last night, but I didn't know of this thread until it was shown to me by Jim. It's probably about time I did a "State of The Wiki" address soon, its been years, and I will work on that one here soon. In the meantime to address this thread, there was a hijacking issue of the website, that led it to getting suspended. We have since fixed the issue of the hijack, and found the root cause of the security hole that caused it in the first place. With that said, I'm waiting on our web host to reactivate the account so we can go back online, should be up and running shortly. With that said, we may spend the next few days in a "read only" state as I do a more thorough audit of the website to make sure everything is good to go. At that point, content will be viewable, just won't be able to edit for a few days. With all that said, we are not gone, we haven't gone anywhere, and we will not be going anywhere When I created PinWiki I made a promise to the community, we were here to stay and that has not changed! As for the mention of backups/mirrors/web crawlers... We do regular backups on our own, as well as the web host in case something happens. PinWiki is coming up on 7 years online now, and we all would be DEVASTATED if that were to be lost. We take many precautions to make sure that if something catastrophic happens to the server or data, that we can put it all back together with (minimal at most) loss. A rollback to a backup may lose a day or two of changes, but not 7 years. This was a core value at the founding of the website. At this time, we do not have any good mirrors of the website at this time that are publicly hosted. Our track record for the past 7 years has been quite good minus 2-3 growing pain hiccups that shut the site off temporarily (our longest outage was 3 days, and that was in a transitional period where I moved the website to better handle traffic). When we first started we were running 2 mirrors of the website as a "just in case" factor, to help ease the community in that the information wasn't going anywhere, but mirroring the website was a TON of work, and I think we can agree that we have a proven track record at this point. Lastly, in reference to web crawlers. I originally did not want to put up a robots.txt to block web crawling, however as the site has gained popularity, the web crawlers were indexing the site more and more frequently. At the beginning that was all well and good, but the traffic push it was creating became detrimental to the website. Mediawiki, which the website is built upon, is not very efficient, especially as the site grows, and the crawlers were slowing down requests on the site to an unusable rate. I know the argument that Wikipedia uses mediawiki and millions of people use that site. They have a MUCH bigger team behind the scenes and multiple data centers of servers to run their site. PinWiki does not have that same luxury. Fortunately, I do have some upgrades possible if growth happens to the point where we run into additional performance issues, but traffic flow wise, PinWiki has leveled out overall and I do not foresee this being an issue. So while it is unfortunate the web crawlers do not have the entire site locked away nicely for days like today, it was done for a reason, and not to hide the contents away from others. As I mentioned earlier, I'm not often on Pinside, but I will try to check in on this thread if you all have any further questions. If there is ever an emergency situation going on and you need to contact me, Jim and Chris Hibler both have contact info for me to track me down, as evidenced by Jim showing me this thread. Sweet. Thank you for all the hard work making certain the information on the site continues, even if the internet breaks. Just an FYI, site is back up and running. Lastly, in reference to web crawlers. I originally did not want to put up a robots.txt to block web crawling, however as the site has gained popularity, the web crawlers were indexing the site more and more frequently. At the beginning that was all well and good, but the traffic push it was creating became detrimental to the website. I'd recommend just selectively allowing a few, such as the crawler for archive.org and possibly google, so the site is archived occasionally, and visitors can find info on the site who aren't familiar with it. Most people new to pinball in the last few years have no idea pinwiki exists, especially in the facebook groups. The first two are for archive.org, and the last one is the google search crawler. It's great that you've been able to do this for so long and have an excellent uptime record. I've found it to be a very valuable resource and have contributed a fair amount to it in the last few years. However, this situation was a bit of a scare. If something should happen to the host, domain, or even you--that's all a single point of failure with no backups in place that someone can has access to besides yourself. Since it is such a great repository of knowledge, I'd just feel a lot better if there is at least one secondary archive/mirror/backup that someone else can access in the event of a catastrophic failure of the site. I will look at the adjustments for the web crawler. But I do like the suggestions and will most likely implement them. A good reminder to help send some $$$ their way if you like/use pinwiki. I just sent a small donation. I just tried to go to pinwiki from a Google search page, and it is most definitely still hacked. Closed my browser and cleared all my cache. Glad this got squared away. Love the site and use it a ton. Huge thanks Casey for your contributions. 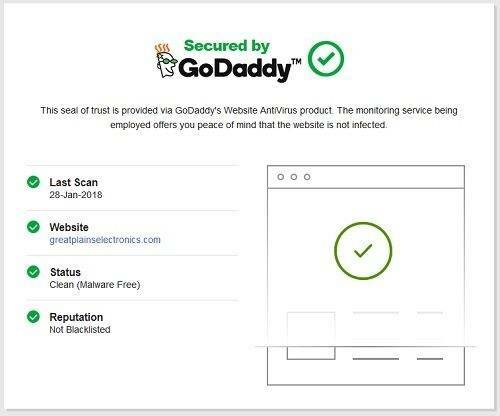 Didn't Securi get bought by Godaddy? One thing I would like to know. On their "website scanner" badge -- what is the significance of the drawing of a washing machine with a green check mark in the middle? That's... uh.. supposed to be a browser window. In Mac, because of the top bar. Either that, or your socks are ready. I am still getting re-directed every once in a while. It may be malware on my end. Anyone else? No issues here. Works like a hose. It's been working fine for me. i saw someone on facebook saying pinwiki redirects them to spam / malware page. seems OK for me. Possibly browser has things cached from when you did visit it last? Try clearing all cache/local storage for the site? Working fine for me. Not like a hose though. chrishibler do you have a trick hose for pin repair? If you go down one level using a google link, you get past that. It's only on the main page. But yeah, the site is still infected with a redirect that takes you to malware sites (multiple, seemingly at random). I pm'd Casey and Chris... don't have their e-mail. Hopefully Casey is already aware. Is someone editing the wiki with crap code that redirects to malware so the webhost shut down the website? Is that even possible? Thanks for the heads up. Casey is on it. Looks like Pinwiki is back up again...Thanks to all involved in turning it around quickly! I can't use the pinwiki from my phone . Most of the time as it loads the page gets hijacked by some warning page or congrations you're a winner page.